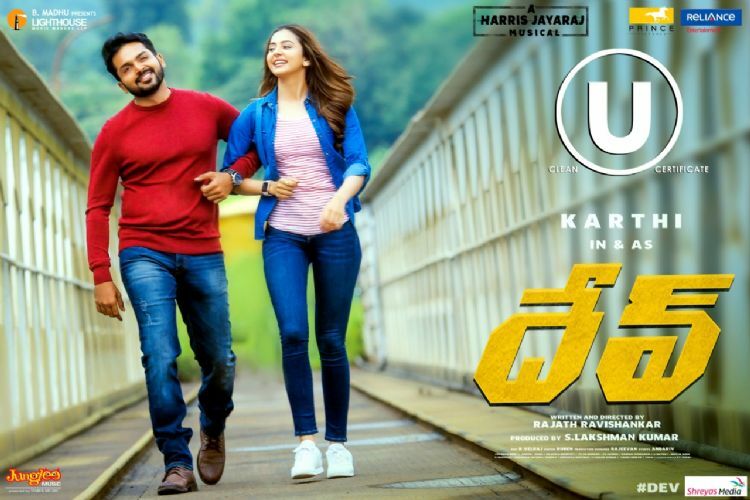 Karthi and Rakul Preet Singh's 'DEV' movie completes censor. The movie is going to be released on Valentines Day, Feb 14th. Directed by Rajath Ravishankar and Music composed by Harris Jayaraj.